Closed busbar system for three-phase low voltage distribution, comprising phase bars that extend lengthways and transverse branch bars, one of which is respectively electrically connected to an associated phase bar. The phase bars are maintained in an inserted manner in a socket of an insulating housing for reducing the cross-section or increasing the power in such a manner that a cooling channel associated with each phase track is formed between the rear side of the phase tracks and the base inner side of the socket. 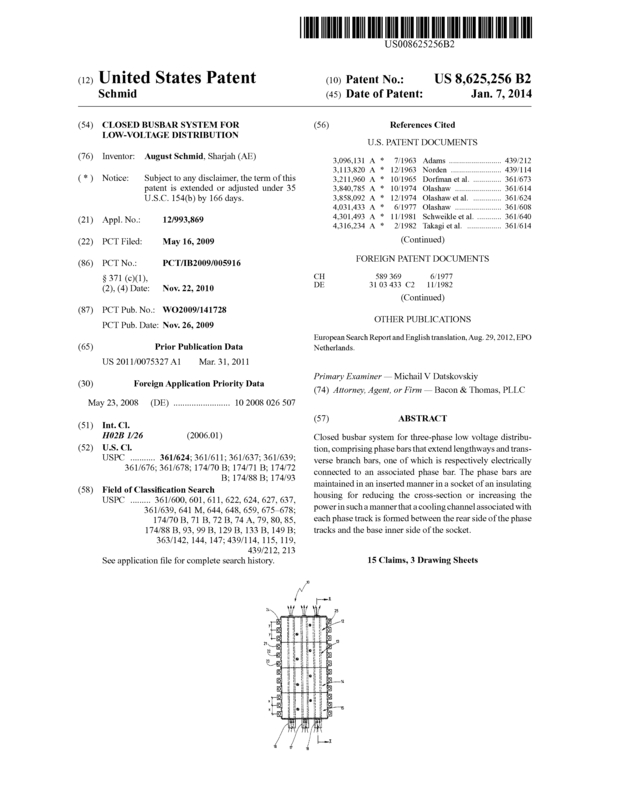 Page created at 2019-04-22 14:29:54, Patent Auction Time.